The most sluggish chart of them all has finally shown some signs of movement. Sensationally the British Film Institute poll of the greatest films of all time now has a new title at the top. Well, not a new title as such. Alfred Hitchcock’s Vertigo was made in 1958. It has replaced Orson Welles’s Citizen Kane at the head of the poll which is conducted every decade. The Welles film had been at number one for a mere 50 years. The BFI poll is conducted by highbrow movie magazine Sight and Sound. The editor Nick James was a little surprised that Citizen Kane should lose its place after half a century of recognition as the greatest film ever made. "I remember hoping last time that Citizen Kane would get knocked off and it never happened," he said, "so yes, I was surprised. And delighted." Vertigo is a film that seems to have matured with age. At the time of its release it was regarded as a decent, if rather plodding, thriller. 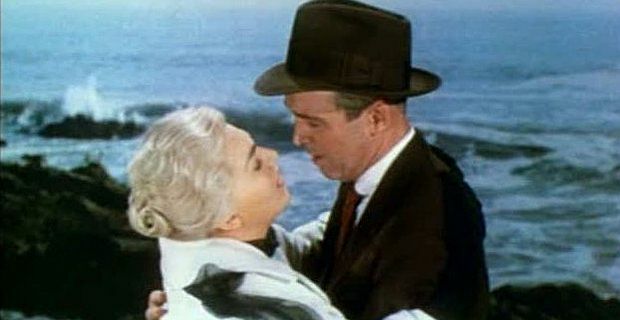 Subsequent generations have discerned hidden depths in Hitchcock’s tale of obsession, starring Kim Novak and James Stewart. "There's less of a massive respect for the all-singing, all-dancing, every technological achievement in one film kind of film, like Citizen Kane," James suggested. "People are moving towards more personal films, ones that they can react to personally in their own lives, and Vertigo is that kind of film, especially if you watch it more than once. It is a film that grows and grows on you."